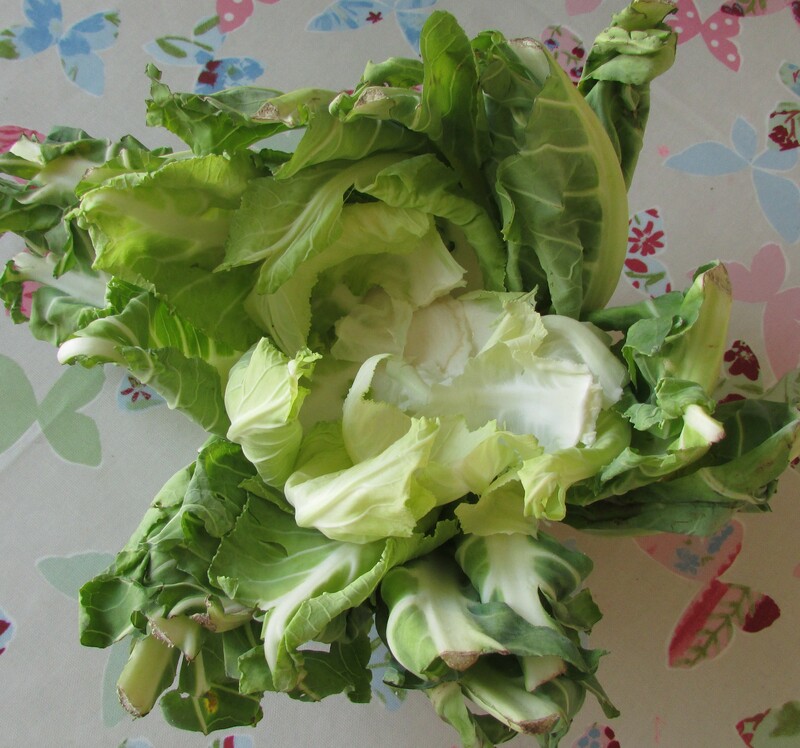 Unless you own a rabbit, these beautiful cauliflower leaves usually end up in the bin. But next time you’re making a cauliflower cheese don’t trough the leaves away. 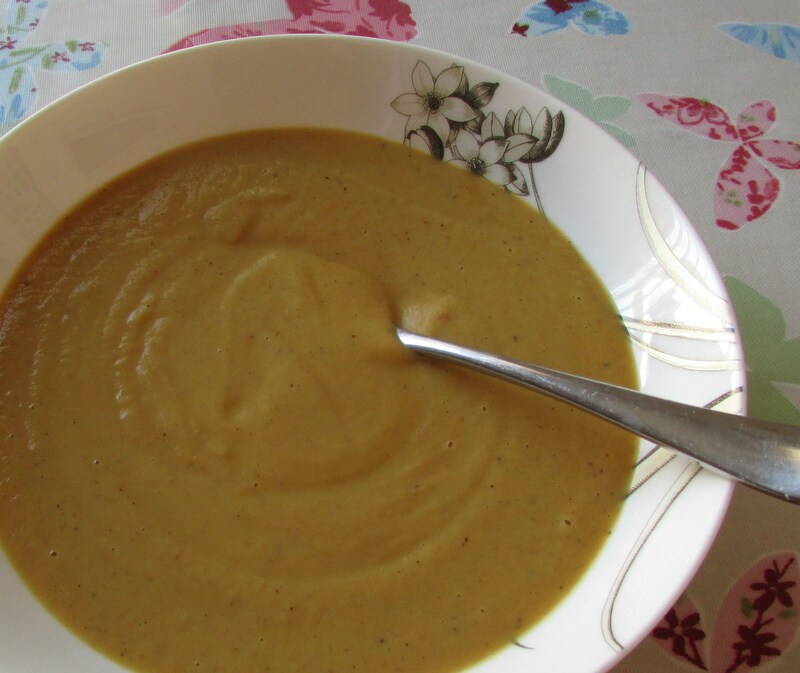 Instead buy a cauliflower that hasn’t been trimmed and try out this tasty and economical soup. Take the outer leaves from two medium heads of cauliflower and roughly chop them. Arrange them on a baking tray with some par-boiled parsnips, potatoes or carrots – basically whatever you have in the fridge that needs using up. Place a couple of cloves of garlic in the baking tray and sprinkle with salt, pepper and herbs of your choice. I like to use thyme and oregano sometimes, but also love a sprinkling of garam masala and a couple of chilli’s depending on my mood. Roast on a medium heat for 30 minutes until the vegetables are caramelizing nicely. Whilst the vegetables are roasting, sauté a white onion in 25g of butter. Add 2 pints of vegetable or chicken stock, and if you’ve got any, the leftover rind from a Stilton or Parmesan cheese. I also like to through in some the rind of half a lemon – as this intensifies the flavour of the cheese and vegetables. Simmer everything together for 30 minutes. Once the vegetables are roasted and the stock has had time to simmer, squeeze out the contents of the roasted garlic and add it and the vegetables to the stock. Remove the rind, and lemon skin (or what is left of it) and blend everything into a smooth soup. Serve with home made bread. Delicious and beautifully economical. 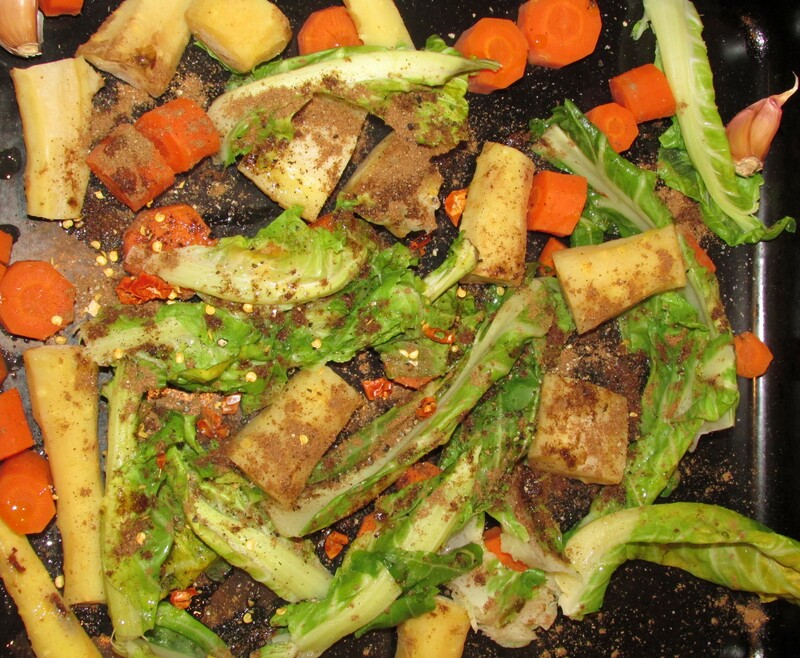 This entry was posted in Food scrap meals, Low cost Lunches on March 19, 2015 by carolinementzer. I am seriously impressed that you tried (and succeeded!) making soup from cauliflower leaves!